When you need a new gas line, you need help from a professional. Gas line replacement is a dangerous job that requires the proper tools, equipment, and training to be done properly. At GT Campbell, we are here to help with you need help with gas like replacement in Brighton, NY. We offer a complete range of gas line repair and replacement services, and we are equipped to get the job done quickly and safely. If you notice any of these signs of a leak, leave the area immediately. Do not switch any appliances or electronic devices off or on, and do not use your cell phone until you are a safe distance away from the suspected leak. Your cell phone and other electronic devices can create a spark that could ignite the gas. Once you have left the area, contact a licensed plumber right away. Also, contact your gas company. A gas leak is an emergency situation that needs to be dealt with immediately to ensure your safety. 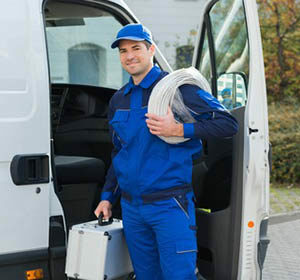 When you need a new gas line, the licensed and insured plumbers in Brighton NY at GT Campbell are here to help. We will use leak detection equipment to pinpoint the source of the leak and get to work replacing the damaged line as quickly as possible. We can also help if you need new gas lines run throughout your home. We are equipped to handle gas line replacement both inside and outside your home, and we are always available to lend a hand in emergency situations. If you need gas line repair in Brighton, NY, contact the experts at GT Campbell today!